Seller financing is available. Seller may carry loan. 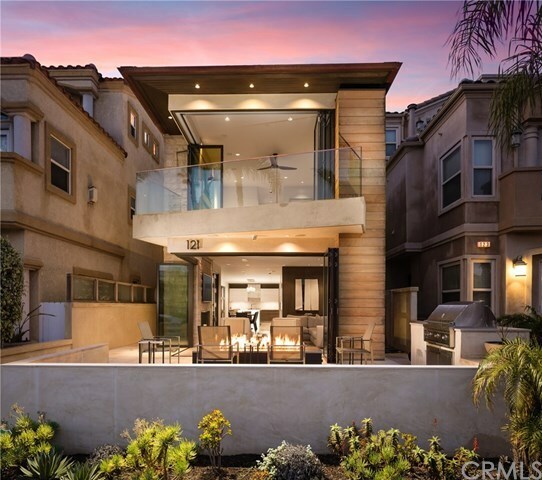 Highest quality home in Downtown Huntington Beach. Ultra modern, clean design and rich textures abound from this contemporary new home in Downtown HB. Walk across the street to the sand or over two blocks to shops, hotels and restaurants from the premiere location of this property. From the moment you walk in the gate, youâll escape into a space of solitude and tranquility in this âSMARTâ house. The property features multiple outside entertaining areas, including an enclosed front yard with a fire pit and built in BBQ. The main floor boasts a culinary dream in its on trend kitchen with an oversized back lit waterfall island with seating for five, premium stainless appliances, and open concept floor plan flowing to the dining and living rooms. Take the elevator to the second floor to discover a master retreat with superb ocean views, spa en suite, and private balcony. The third floor showcases an incredible multi-purpose room with a private full bathroom, direct access to two balconies (one with a hot tub). Listen to the waves, watch the sunrise, and savor sunsets from every angle. This home boasts the finest finishes and construction in an ideal beach location, steps from all the best Surf City offers.